I recently purchased a black bomber jacket while shopping at H&M and I can say that it is one of my new favourite items in my closet. I love the fact that I can dress it up with a skirt and pumps or dress it down with a tank underneath, distressed denim and sneakers. It’s a great alternative to a blazer or denim jacket and the perfect piece to wear during transitional seasons. It’s definitely a Fall must-have item. You can’t go wrong with a black and/or white bomber (yes, white can be worn after Labor Day!). Such a classic look! 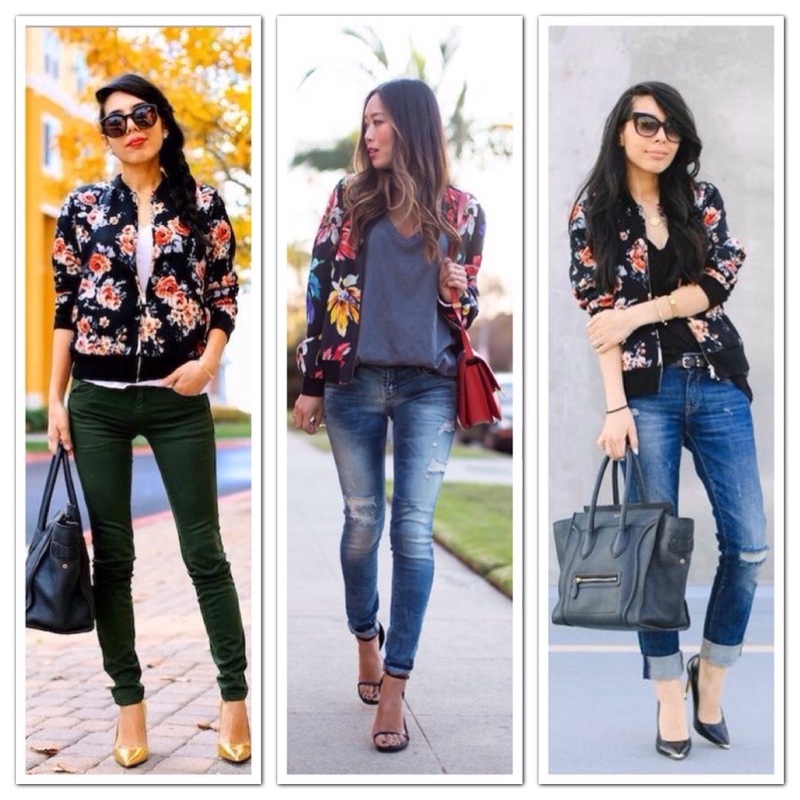 Why not even take it up a notch with a floral bomber instead!? (yes, florals can be worn in the Fall!). 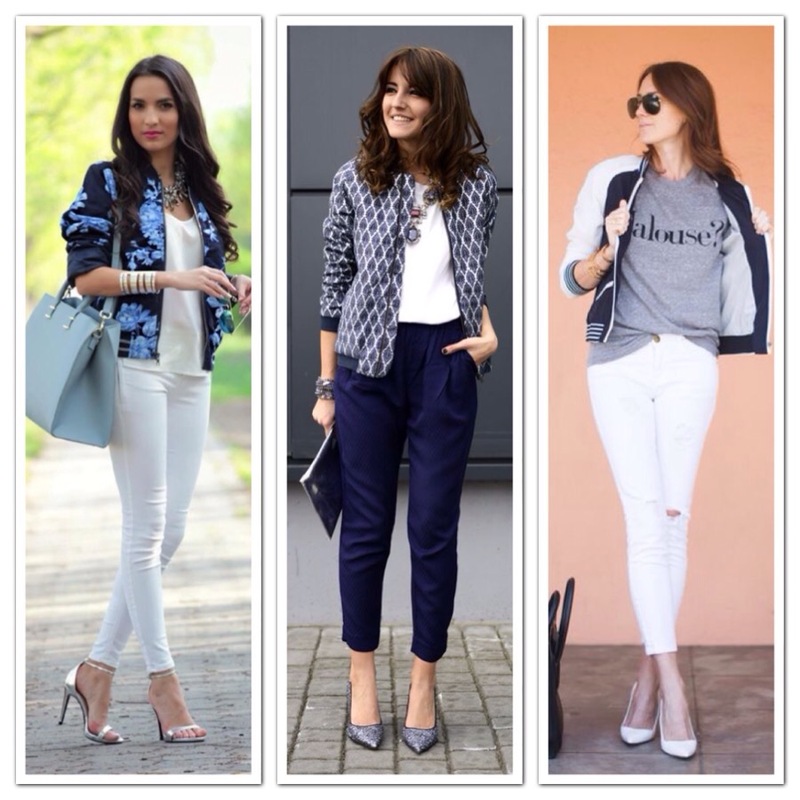 Will you be rocking a bomber jacket this Fall?